Went for a cartoony version. Only YOU can prevent Midgard Serpent attacks. 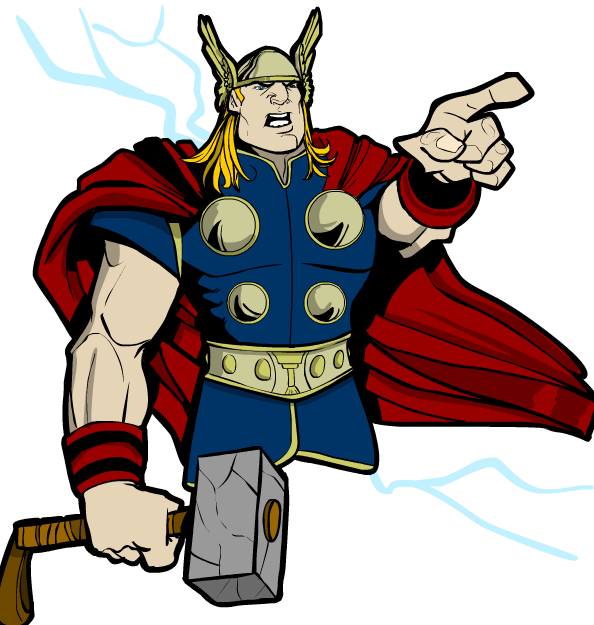 Oh, and this cartoony version still sayeth God of Thunder! I think it would be awesome if the only way Thor could make lightning and “thunder” would be for someone to pull his finger. There should be more historical parts for Hero machine 3. I love this thing and more historical parts like Different types of Greek helmets would be great.